The new app Foodsy is an example to show how life is speeding up and how digital media contribute to this. 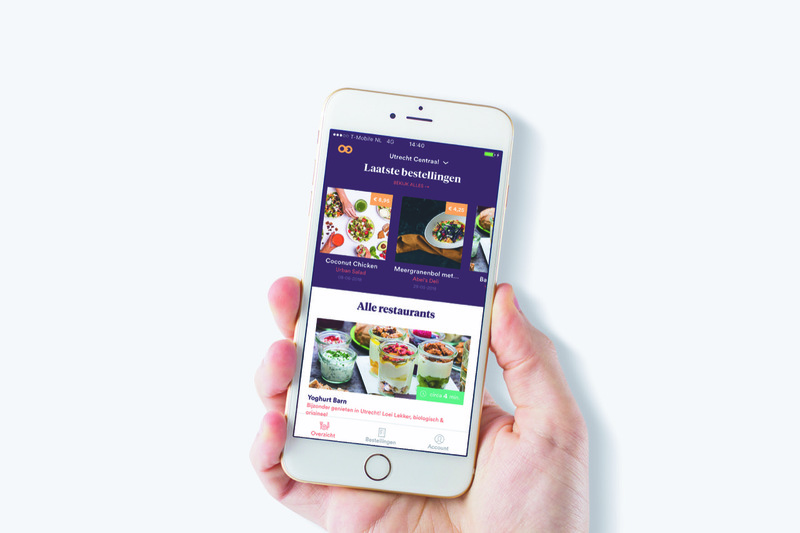 Foodsy is an emergent app made for train passengers in the Netherlands which allows them to order food at food courts at train stations online, while traveling. Users can confirm pick-up times themselves and don’t have to wait in line for their food. In this way, time is saved, and users might catch a train earlier. But is this app saving time by skipping the line or is it skipping (leisure) time? The acceleration of digital media and the acceleration of society will show how an app like Foodsy is accelerating our life while giving more leisure time. Life is fast, and it seems as if life is only going faster. Computers can process huge amounts of data within milliseconds and digital devices give you access to almost everything everywhere. This acceleration is often linked to new media technologies (Tomlinson 11). Media theorist Hartmut Rosa argues that we can connect the acceleration of digital media to an acceleration of society. Technical innovations enlarge the acceleration, but it’s also because of our increasing productivity and efficiency (Rosa 5). The technologies enable us to act faster, and Rosa argues that we respond to this by accelerating everyday life (Rosa 290). According to Rosa, “busyness in contemporary society takes a fundamentally distinct form: social acceleration drives us to pack an ever more intense range of accelerated activities into shorter periods of time” (291). The new app Foodsy is an example that shows how people want to make the most of their time. Instead of waiting in line for your food at train stations you can order online, and the food is ready when you arrive. This shows how our life has accelerated through time. The term ‘fast food’ was introduced years ago but these days people want to skip the line to get their fast food even faster. But are these technologies giving us more leisure time? A washing machine was supposed to save time, but people started to wash their clothes more often. 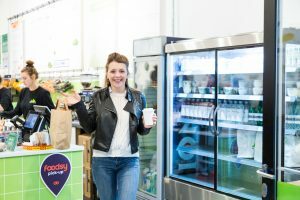 So, is an app like Foodsy saving time or is it changing our habits? Technologies, like mobile devices, are never switched off. This constant availability gives people access to communicate everywhere and at any moment. You are not limited to communicate only at work or at home. Nowadays technologies are woven into our lives and we can’t imagine a life without them: we are obsessed with speed and we want to do more things at once (Wajcman 14). Digital media are not only giving us more time. Digital media are related to social norms we create because of the technologies being a part of our lives (Wajcman 31). Tomlinson argues that the general acceleration of society has changed to a condition of immediacy (10). Digital media offer, through the combination of ubiquity and personalisation, an acceleration in time and space (Manzerolle 217). Because of the interactivity of digital media, we experience the speed-up of everyday life as immediacy (Manzerolle 227). Technologies aren’t just relevant for our individual experience of time, but also for a shared feeling in society (Kaun 226). Wajcman disagrees with the idea that technologies make our lives more rushed. We do it ourselves and we can reduce this pressure by taking more control of our time (184). Taking more control of our time will give us more leisure time. The use of digital media accelerate society, but digital media themselves also accelerate. Media theorist Judy Wajcman argues that instead of being deterministic about the relation between technology and time we should change our use of digital technologies to take more control of time (67). This way people continue to do the same activities but in a shorter period of time (Wajcman 66). Being able to communicate more could be used to save time instead of splitting time. Mobile devices manage time and therefore remove the immediacy of time by giving people more time (Wajcman 71). Companies can no longer passively wait for consumers to find them. They need an active service that is connected all the time. According to Parise, “current strategies around the virtual expert – delivering an immersive, personalized shopping experience; improving flow among consumer touchpoints; and providing content that has emotional and cognitive fit – have the capability to provide this level of service” (418). The image above shows how Foodsy tries to make ordering food a personal experience by being flexible and using words like ‘your own’ and ‘favourite’. According to Wajcman, “people commonly use technologies to enable them to achieve higher standards rather than to save time” (146). Therefore, there’s no more distinctive time for family, work and leisure but they all combine (Wajcman 158). The time you save with the Foodsy app by skipping the line should give us more leisure time, but we’ll either way think of something else to do. We try to fill up our days with as many activities as possible because we have the ability to do so (Rosa 290). So even though we skip the line we don’t save time? That’s not completely true. We do get more time since we’re in control of the time. With choosing your own pick-uptime in the app, you’re able to control the time instead of waiting. Digital media could give us more leisure time, but they create more pressure of time. Because of the increased pressure, life seems more rushed (Wajcman 163). Wajcman argues that the accelerated society in combination with the accelerated technologies doesn’t expand our leisure time but speeds up our pace of life (164). People want to be more efficient and productive in their time and technologies assist in this (Wajcman 179). They reflect and shape our culture of speed. Foodsy is efficient by actually saving time by skipping a line but can increase the pressure of time. The app communicates how waiting in line these days is a waste of time and is therefore increasing the pressure of time. People start to think about what other elements of their lives are unnecessary. The app fits perfect into the accelerated digital life because of its simple yet efficient idea to skip the line. The app should give us more leisure time because we can skip the line, but we’ll always try to find alternatives to fill up this extra time. The personalization, the ‘always-on’ mode and the idea of skipping a line is giving us the feeling that we control our time, but our accelerated life is only accelerating more. Kaun, Anne. “Regimes of time: Media practices of the dispossessed.” Time & Society 24.2 (2015): 221-243. Manzerolle, Vincent R., and Atle Mikkola Kjøsen. “The communication of capital: Digital media and the logic of acceleration.” tripleC: Communication, Capitalism & Critique. Open Access Journal for a Global Sustainable Information Society 10.2 (2012): 214-229. Parise, Salvatore, Patricia J. Guinan, and Ron Kafka. “Solving the crisis of immediacy: How digital technology can transform the customer experience.” Business Horizons 59.4 (2016): 411-420. Rosa, Hartmut, ed. High-speed society: social acceleration, power, and modernity. Penn State Press, 2010. Tomlinson, John. The culture of speed: The coming of immediacy. Sage, 2007. Wajcman, Judy. “Life in the fast lane? Towards a sociology of technology and time.” The British journal of sociology 59.1 (2008): 59-77. Wajcman, Judy. Pressed for time: The acceleration of life in digital capitalism. University of Chicago Press, 2015.